Beijing: Indian Foreign Secretary S. Jaishankar on Wednesday met Chinese Foreign Minister Wang Yi ahead of attending a key bilateral strategic dialogue here. Jaishankar and Vice Foreign Minister Zhang Yesui are to chair the first India-China Strategic Dialogue here. India is expected to raise the issue of China's opposition to New Delhi's bid for NSG membership and blocking of its UN proposal to have Pakistani militant Masood Azhar declared as international terrorist at the dialogue. 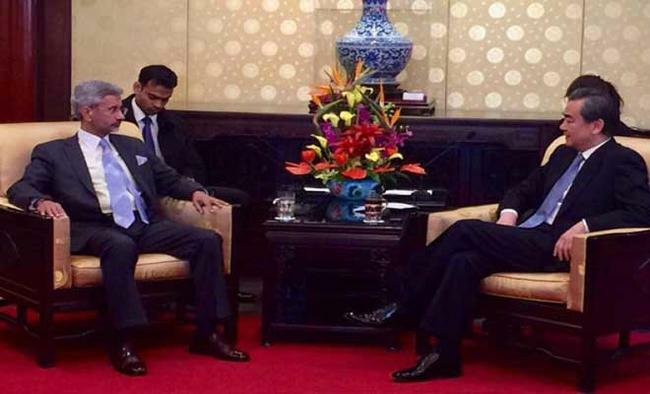 On Tuesday evening, Jaishankar met China's top diplomat Chinese State Councillor Yang Jiechi.